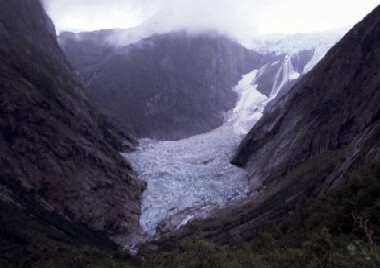 Description Brenndalsbreen advanced to the main valley (Briksdalen). Avalanche from the glacier terminus. Effects: The farm Tungøyane in Briksdalen, Olden, was destroyed. Only two people survived. Note Correct date 1743!! Number of dead not known, 3 taken as a minimum.